Your temporomandibular joints (TMJs) are located on either side of your head and act as a sliding hinge, making it possible to open and close your jaw. 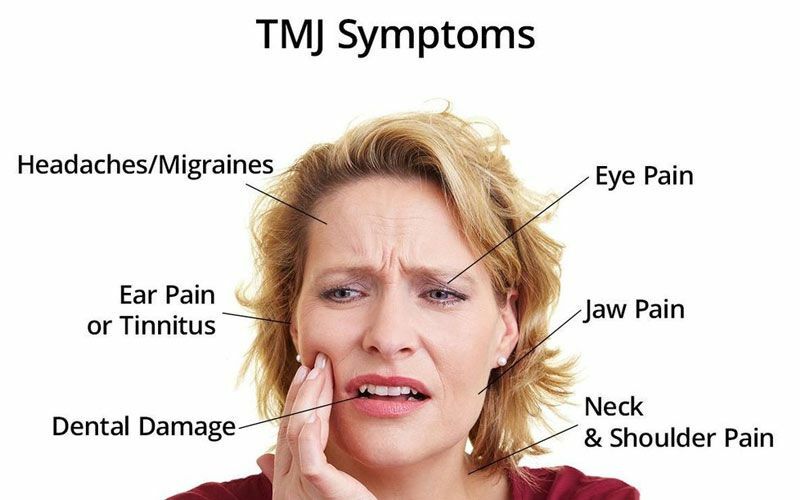 TMJ disorder, also known as temporomandibular disorder (TMD), can cause pain in your jaw joint, as well as the muscles which control jaw movement. At Dental Health & Wellness of Long Island in Northport, NY, we offer TMJ treatment to reduce or eliminate symptoms of TMD. Dr. Steven Lamberg can provide oral appliance therapy or coordinate other treatment to alleviate pain and discomfort and protect both your oral and overall health. TMJ disorder presents many symptoms that you may not necessarily associate with your jaw. The best way to find out if your symptoms are related to temporomandibular joint disorder is to schedule an appointment at Dental Health & Wellness of Long Island. Dr. Lamberg can conduct a physical exam to check for issues with your TMJs. During the exam, he will listen to your jaw to find signs of clicking or popping and observe the range of motion of your jaw. He may also press gently on areas around your jaw to identify signs of pain and discomfort. We will also take a 3D X-ray of your jaw to analyze your TMJs. We have all of our x-rays read by a radiologist to catch other issues which may arise in your sinuses, airways, or TMJs. Depending on the severity of your condition and the types of symptoms you are experiencing, Dr. Lamberg can create a treatment plan suited to your unique needs. For some patients, medications such as anti-inflammatories or muscle relaxants can relieve the symptoms of TMD. You can discuss your options with Dr. Lamberg during your consultation to determine the optimal treatment for you. In other cases, Dr. Lamberg will recommend oral appliance therapy. We can design a custom occlusal appliance to adjust your jaw while you sleep and minimize the stress placed on the temporomandibular joints. Severe cases of TMD sometimes require surgery. You can discuss your options with Dr. Lamberg during your consultation to determine the optimal treatment for you. In many cases, Dr. Lamberg can recommend simple changes to your lifestyle to reduce symptoms of TMJ disorder. Certain stretches and massages can improve the health of your temporomandibular joints. In addition, heat and ice packs can help to alleviate pain in the TMJs. For some patients, avoiding habits which overuse the jaw muscles, such as excessive gum chewing or teeth grinding, can improve TMD. If you are experiencing facial or jaw pain, you may have temporomandibular joint disorder. Dr. Lamberg offers a range of solutions to relieve symptoms and improve your overall quality of life. Learn more about TMJ disorder by contacting our office online or calling (631) 261-6014 today.